4k00:22Businessman leads a serious conversation with a colleague on the phone. 4k00:21Friendly middle manager communicates with partners via online chat. Smartphone with Internet access keeps you connected anytime and anywhere in the world. 4k00:27Good looking young man in glasses and blue shirt holding a tablet computer and watching something on it or doing selfie on the white screen background. 4k00:10A man with a beard businessman holding a mobile phone and the hands of the credit card. 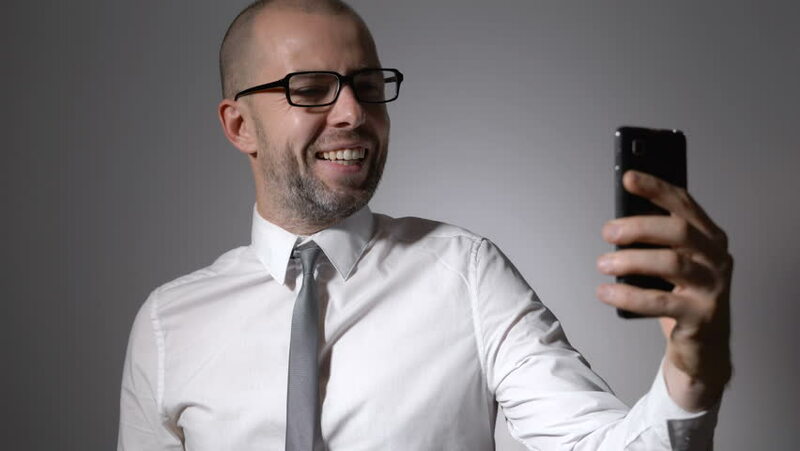 4k00:07A businessman or a middle-aged manager in glasses holding a smartphone in the hands and prints in social networks or using a mobile application.